SOUTH PHILADELPHIA (WPVI) -- The list of big names bringing their tours to Philadelphia continues to grow. This past week, it was announced multi-platinum selling band Fall Out Boy will be bringing their North American Tour to the Wells Fargo Center in South Philadelphia on Sunday, October 29. Tickets go on sale May 5. 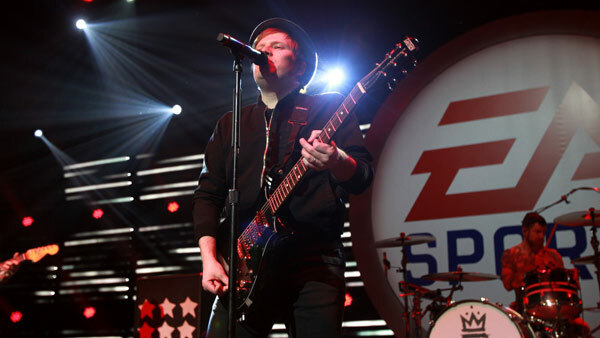 Fall Out Boy joins artists from various musical genres making a stop in Philly. Tickets for all of the following concerts went on sale this weekend. Seven-time Grammy-winning hip-hop artist Kendrick Lamar will perform at the Center on Wednesday, July 19. '2054 The Tour,' bringing together Earth, Wind & Fire and CHIC featuring Nile Rodgers, will play the Wells Fargo Center on Tuesday, August 1. Country superstars Tim McGraw and Faith Hill are celebrating the 10th anniversary of their "Soul2Soul II Tour" with a 65-city tour stopping in Philadelphia on Friday, August 18. This will be the first time since 2007 that Hill has toured. And Enrique Iglesias and Pitbull will share the stage in Philadelphia on Friday, October 13. You can buy tickets through WellsFargoCenterPhilly.com, by phone at 1-800-298-4200, or in person at the Wells Fargo Center box office.